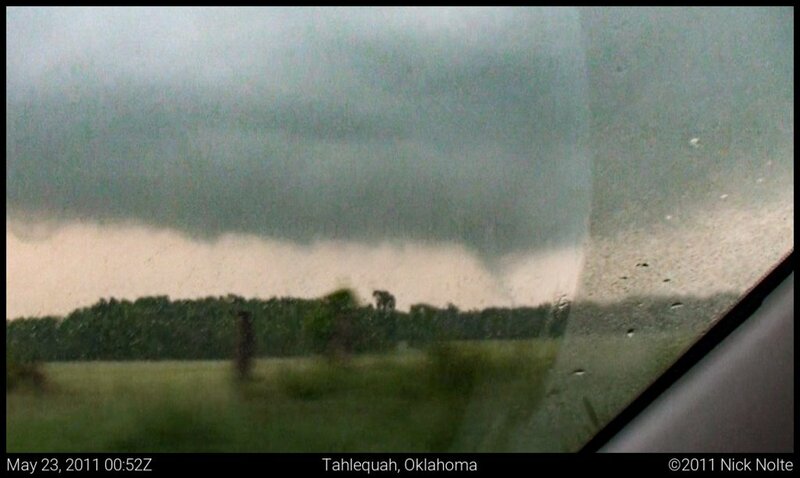 After a mind-blowing day in Oklahoma we hung around Ada for the majority of the 22nd expecting the atmosphere to reload and provide a show, perhaps slightly northeast of the 21st. We hung around the hotel parking lot in Ada chatting with fellow chaser Nathan Edwards as we sat under the blistering sun. It was looking like a day where storms would erupt along the cold front/dryline from Wisconsin all the way into Texas. We were concerned about the cap holding towards the Red River and figured further north was the play. Our willpower would be tested as right around 21z the dryline in Texas started to fire as well as the cold front, to the north, in Kansas and Missouri. And here we were in Central Oklahoma looking at blue skies and a scorching sun. Nevertheless, with dewpoints pushing into the mid 70s, SB and MLCAPE pegged at 5,000 J/Kg and a 300mb jet streak starting to punch in, we felt it was only a matter of time before the rest of the front lit up. At 21z we got a little antsy and moved northeast up to I-40 west of Henryetta. At about 23z a cumulus field to the northeast drew our attention and we started heading towards Muskogee. 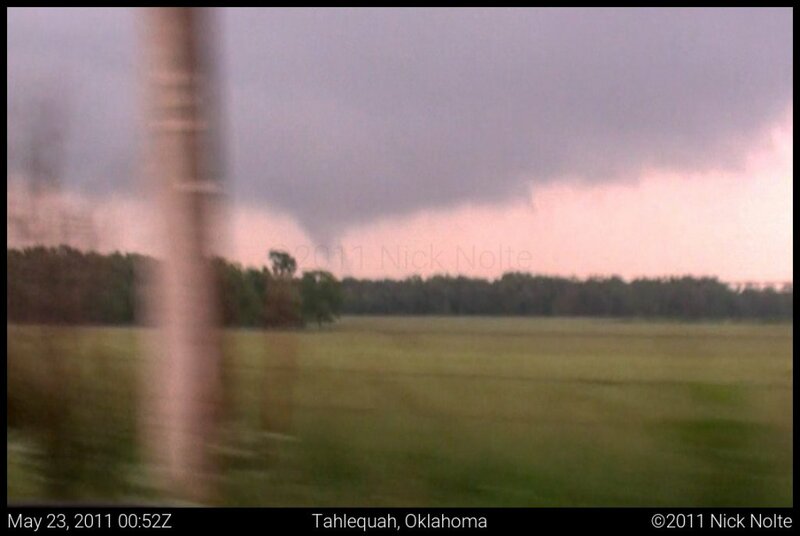 By the time we got there, the line had finally started to fire in Oklahoma and the chase was on. We eventually caught up with a decent looking cell east of Peggs, OK on some back roads where we finally got a chance to get out and get a visual. 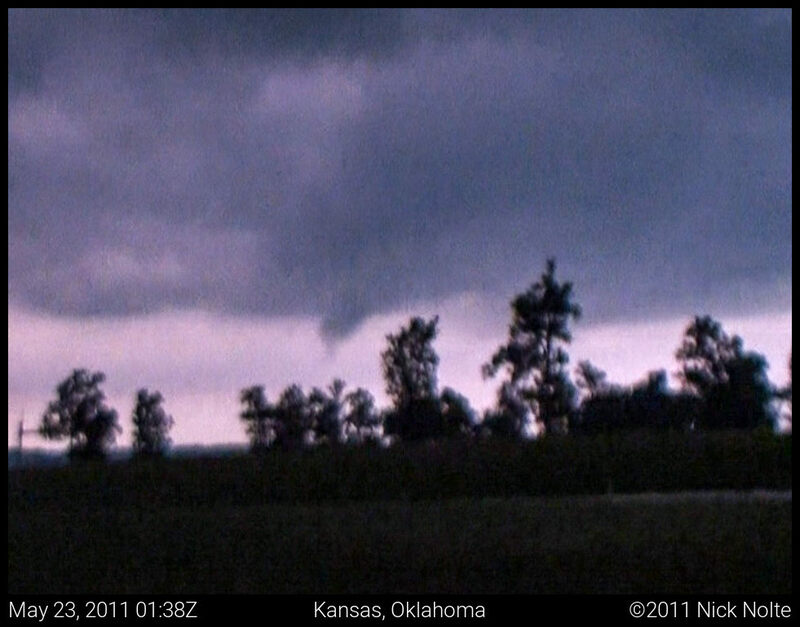 During our stop we saw three brief touchdowns in the distance, but aside from that it was mostly a grungy looking storm. 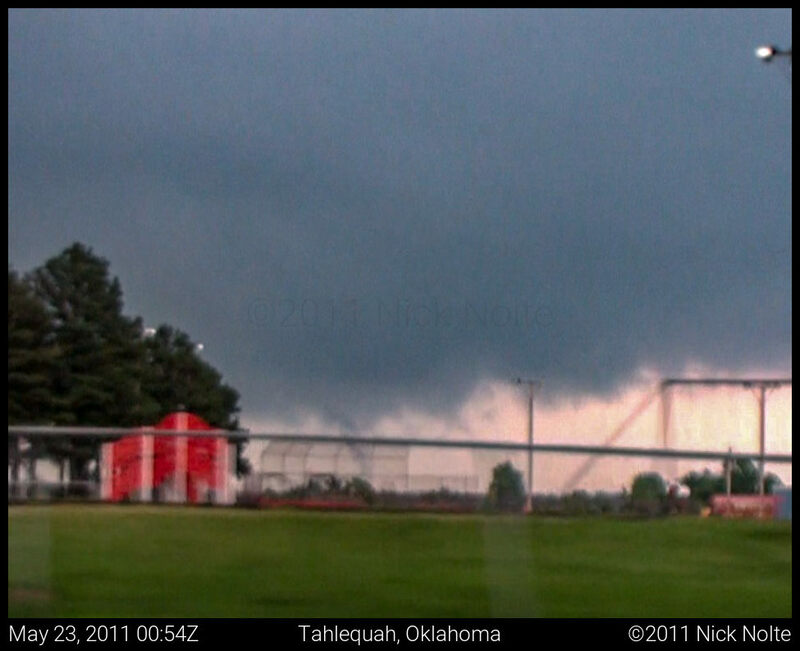 We moved up Oklahoma Highway 10 to the Cherokee Turnpike where we stopped on the bridge to check out a menacing looking wall cloud to the east. We followed it along US 412, and encountered a debris field west of Siloam Springs where we later found out, on our way back to Tulsa, that a trailer park had been hit. 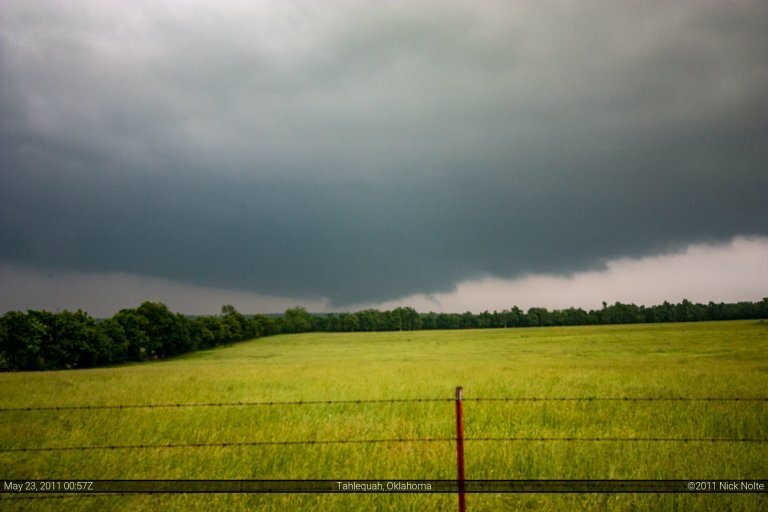 This chase was a bit frustrating, while we did see a few touchdowns from several miles away, nothing really photogenic and most of the day was spent chasing grunge.